In this paper we present a new test model written in SysML and an associated blackbox test suite for the Ceiling Speed Monitor (CSM) of the European Train Control System (ETCS). The model is publicly available and intended to serve as a novel benchmark for investigating new testing theories and comparing the capabilities of model-based test automation tools. The CSM application inputs velocity values from a domain which could not be completely enumerated for test purposes with reasonable effort. We therefore apply a novel method for equivalence class testing that – despite the conceptually infinite cardinality of the input domains – is capable to produce finite test suites that are complete (i.e. sound and exhaustive) for a given fault model. 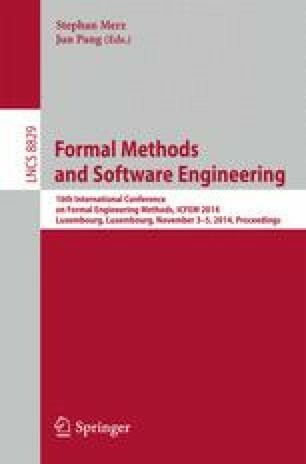 In this paper, an overview of the model and the equivalence class testing strategy is given, and tool-based evaluation results are presented. For the technical details we refer to the published model and a technical report that is also available on the same website.